Running is an effective and fun way to get into shape. It burns fat and improves endurance while lifting the mood and spirits. It can be done alone or in groups, on the road or in the woods. However, all those miles can take a toll on the feet, knees and legs, so avoiding injury is as much a goal of a running habit as fitness is. Shoes play a major role in how our bodies respond to the stresses of running. Many runners look to their shoes to keep their whole body healthy as they train. Lately, “zero-drop” shoes have become more popular, and their devotees insist they minimize running-related injuries. Hence, a lot of people wonder what zero -drop shoes are, and if they should start shifting to this style. Zero-drop shoes are minimalist running shoes that have zero difference in height between the forefoot and the heel. In other words, your forefoot and the heel will sit flat compared to the ground, with the idea of maintaining a more ideal running posture. Adherents will claim zero-drop shoes also promote mid-foot and front-foot strikes as well, a running style that uses the foot to absorb some of the shocks of running, as opposed to the knee and hip. The term “drop” in running shoes refers to the difference in the width of the sole under the toe compared to the width under the heel. Traditional running shoes, on average, have about 12 millimeters, or half an inch, of drop. Manufacturers believe that this common design protects the feet from a number of running problems by elevating the heel, tipping the runner forward, and giving more cushioning. In the never-ending search for shoes that can better prevent running injuries, some companies have stopped prioritizing protection of the foot. Instead, they mimic how a bare foot would work to protect itself against injury. After all, humans have a long history of running, and very little of that time has been spent in specialized, cushioned shoes. The term “zero-drop” was brought into popularity by Altra, to show how their shoes were bucking the trend of more padding and support. They designed their shoes to work with how the foot naturally lands while running barefoot. Imagine earlier times, when our ancestors had to walk and run barefoot. They had more natural movements and were able to feel the ground beneath their feet. This is the objective of the zero-drop shoes. The thin space between the sole and the rubber allows the runner’s feet to have more natural movements. 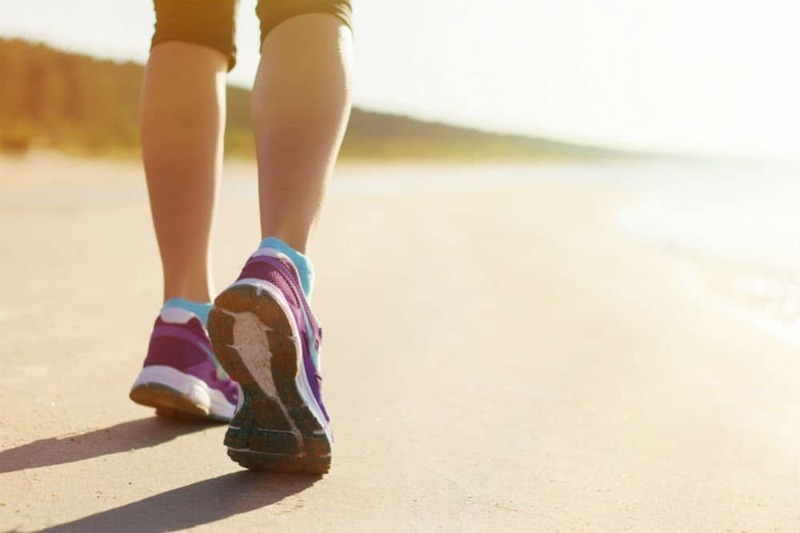 Having the heel and forefoot on the same level in the shoe encourages forefoot striking, which lowers stress on the leg, knees, and hips by actively engaging the whole foot in the gait cycle. Designs can be based on comfort and stability, as opposed to cushioning and support. Zero-drop shoes have a flat design that makes every part of the foot land evenly on the ground. This ensures that the first contact spreads through the foot before transporting it to the leg muscles and knees. It also allocates the normal pressure around the legs and away from the knees, which reduces the risk of repetitive stress injuries. Zero-drop shoes do not, by definition, have to also be minimalist, but many models are. As the shoes’ profiles get thinner and more minimalist, they involve less material, which results in lightweight builds, overall. Lighter shoes means more speed and less fatigue. Maybe an ounce here or there doesn’t seem like much for a casual group run on a Thursday. But they can add up quickly in competitive running, where runners are required to endure long distances and fast speed. Zero-drop running shoes do not push the feet to a more forward position, which many say can disrupt the body’s natural alignment. Misaligned posture can lead to a number of serious injuries. Unlike traditional running shoes, zero-drop models promote forefoot striking, reducing knee injuries, lower back pain, foot ache, and more. Compared to traditional running shoes, zero-drop shoes allow a more natural feeling and stance with every step. This means that the shoes help your toes and heels find the right position. Result: you will be faster. What Are the Four Components to Look for in Running Shoes? Apart from knowing what zero-drop shoes are, you should also make sure that you purchase the right pair. Generally, running shoes are worn to provide support and protection against injury and external factors. As each runner’s form is a little different, unique individual strides and personal preferences can steer you to a shoe you will be happiest with. Proper heel and forefoot position: By definition, a pair of zero-drop shoes doesn’t lift your heel higher than your forefoot. It should maintain your lower leg and ankle in a somewhat shortened stance. When running shoes put your leg muscles in an unnatural position, the mobility of your ankle can be compromised, limiting range of motion. Wide toe box: Zero-drop shoes should have a wide toe box where your foot can spread as you contact the ground. Since zero-drop shoes push you toward a forefoot-striking stride, the ability of your foot to spread wider when landing is critical. A narrow toe box can make the foot feel uncomfortable, leading to foot and leg pain. Flexible bottom: Good zero-drop running shoes have a flexible bottom that lets your toes fully bend as you step. Anatomy shows that the toes bend up to ninety degrees as you move through the gait cycle. Hard soles and stiff shoes limit foot movement, and weaken the soft tissues of the feet. Right fit: Zero-drop running shoes should balance roominess for your foot with snugness of fit. Too much space, however, can allow your foot to move and flex in ways that lead to tissue injuries. Too tight of a fit, however, and you will lose that natural feel zero-drop running provides. Try on a few pairs and see which one is right for you. Should You Shift to Zero-Drop Shoes? If you like trying new shoes styles and tinkering with your stride in the pursuit of new PRs, then maybe you are considering giving zero-drop shoes a try. Before making the leap, though, consider the possible effects on your performance. If you have built up your mileage and pace in traditional shoes with a 10-14mm drop, your legs are trained to run in a certain position. A sudden change in that can cause serious problems. If you are going zero-drop, transition gradually. Start off by using the zero-drop shoes for a few sets of striders after an easy run. After a couple weeks of that, wear your new shoes for a 1.5-mile warmup before putting your traditional shoes back on for a track workout. If that goes well, you can progress into easy runs, and eventually more strenuous and longer efforts. Most runners making the transition notice considerable tightness in the calves when making the switch. Pay attention to your body, work on your strength and flexibility, and take your time. Zero-drop shoes are a contemporary style of running shoe that tries to mimic running as it was long ago, before we became obsessed with “protecting” our feet with cushioned and supportive footwear. Minimalist runners and foot experts swear by them. Devotees swear they are safer and better in terms of weight, injuries prevention, comfort, and stride mechanics. They help maintain the body’s correct posture, which in the long run prevents long-term injuries and improves performance. Don’t forget the critical factors when selecting a pair. They should have a wide toe box to give toes enough space when they spread out as you run, and a flexible bottom to support the toes as they bend during landing and toe-off. If you already have been considering zero-drop shoes for your next run, be patient with the move away from traditional shoes. Transition gradually and your feet won’t suffer. The longer time you’ve been using traditionally-heeled shoes, the longer time you need for the shift to zero-drop.